‘Sup folks! 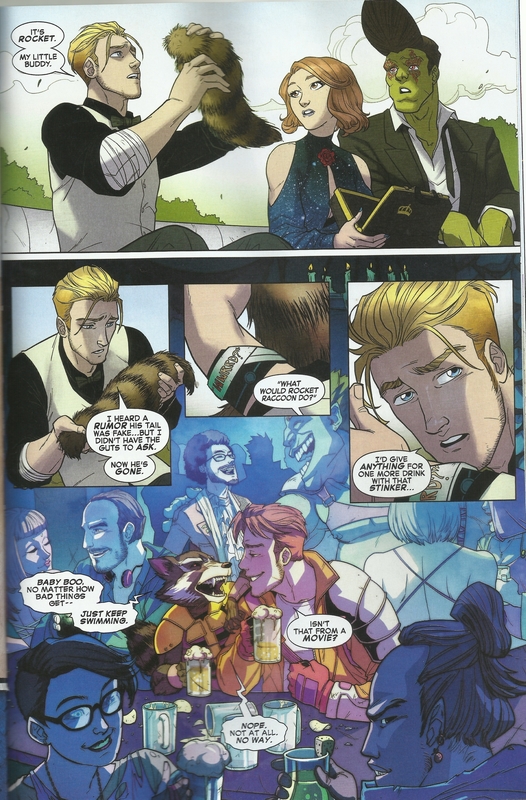 After a month’s worth of waiting, Star Lord & Kitty Pryde #3 is finally here! So a quick recap on what happened last issue; Peter Quill/Star Lord aka “Swinging” Steve Rogers is on a misadventure with Battleworld’s AOA Kitty Pryde, to recover the anomaly Gambit the Collector possessed. Obviously going into a trap, that’s where we start off; our heroes upside-down, Kitty’s powers nullified, and well, let’s just have the pics speak for themselves, ok? Since Widget is a Kitty from another domain, they cancel each other’s abilities out. So, Petey here had this ingenious idea: sing their couple song! It proved effective as Widget fell for him the second he sang it, kissing him and enabling them to escape. …well, it was actually Afro Drax disguised, delivering a nasty uppercut to Gambit, knocking him out. IMO, the red eyes are already a great give-away about his identity. Drax, you nasty bugger you! So to sum things up, what is this “anomaly” they’ve been dying to get? Turns out it’s a remnant of the world before, a part of member of the Guardians of the Galaxy, Rocket Raccoon‘s very own tail. What’ll happen now to Petey? Will he ever love yet another Kitty? Looks like he did, hehe! Attaboy! 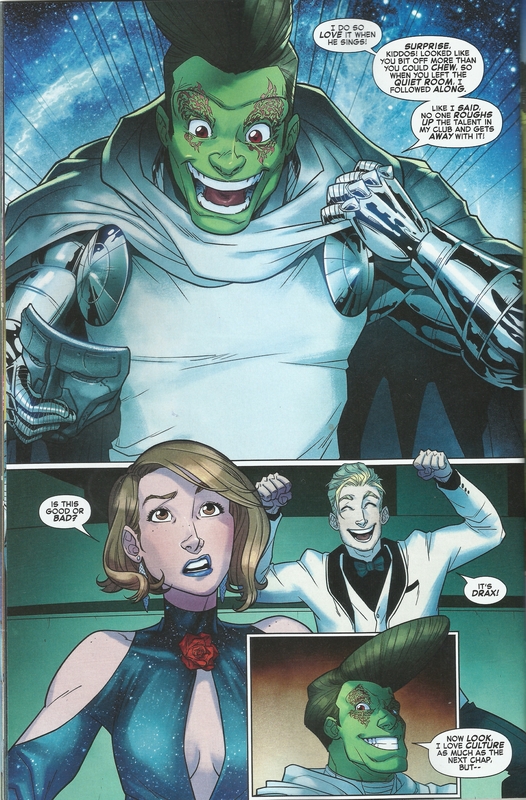 Star-Lord and Kitty Pryde #3 is already out on your local comic book store shelves! Grab a copy now!